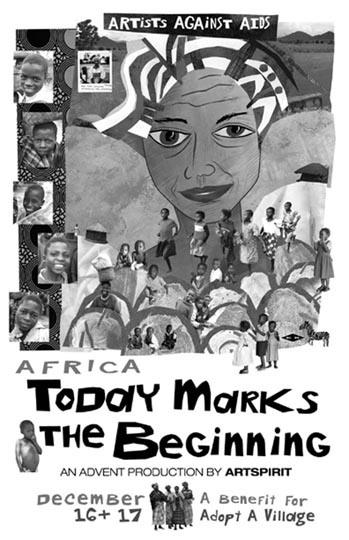 Today Marks the Beginning, a theatrical production by ArtSpirit, was presented in Dallas on Dec. 16 and 17, 2003. 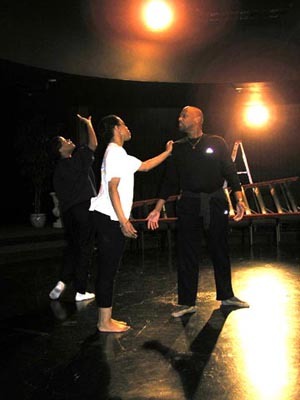 It was adapted for stage from "Faces of a Plague: An Artist’s Journey into the Heart of a Deadly Epidemic". Mangochi District Hospital dance scene. 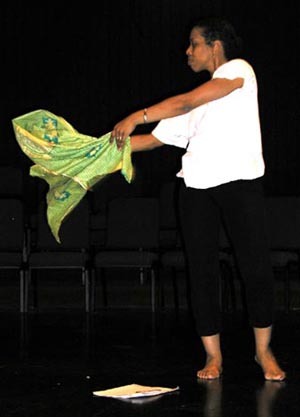 Angela performs the role of Mary Kathumba. 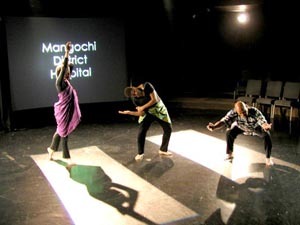 Angela, Erika, and Eugene perform in the Mangochi Hospital scene. :: What Did He See From the Mountaintop? :: What turns compassion into action?